After the long train trip from Cluj we finally arrived in Brasov. We decided to catch a taxi to the Hostel who (predictably) ripped us off, charging 4 times the going rate. By the next day we had managed to hire ourselves a private driver for the whole day. We paid an almost negligible 180 LEI (£36) for his days service. He drove us everywhere! First Peles Palace, Which by my standards wasn’t hugely interesting, it was very pretty and ornate, not to mention snow covered as it had been snowing in the mountains that morning but Gee, you know, I’ve seen so many palaces in the United Kingdom that it wasn’t anything new to me. 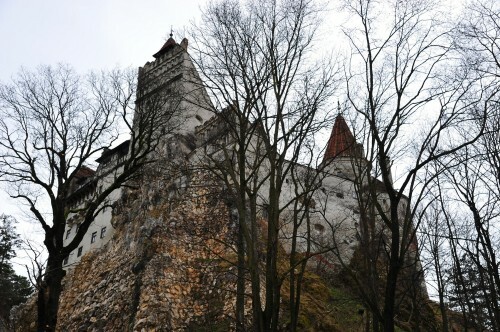 We then went onto Bran Castle A.K.A. Dracula’s castle. We were greeted with an intricate castle perched on a sharp peak of a small mountain. We went inside and were very impressed with it. 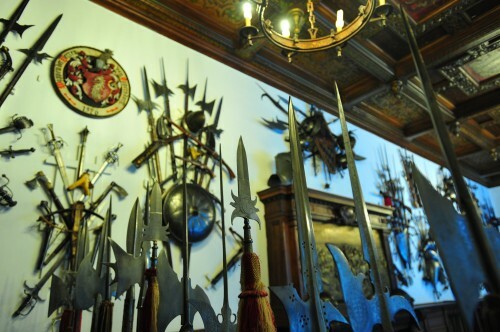 It had many small rooms and staircases throughout all of the numerous additions over the years, which made it much more interesting than the castles one would find in, say, England. The second day in Brasov we rapidly hopped around all of the sights (Churches, towers etc) and saw the “Narrowest street in Europe” which was more like an alleyway and a little disappointing. I was hoping for some shops at least. Nope. We then caught a soviet-era cable car up to the top of the mountains overlooking Brasov, primarily to visit a large “BRASOV” sign at the top (very much like the Hollywood sign). As it had been snowing heavily it was freezing cold and subsequently, a tad depressing up there. After visiting the letters we had a beer inside a large, empty, run-down, freezing cold cafe which was a far cry from the comfortable cafes found on hilltops in New Zealand’s cities (or anywhere else I’ve been for that matter). 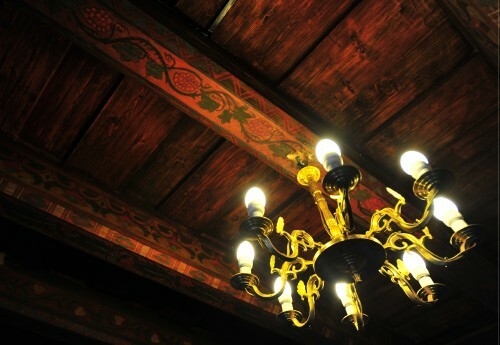 Food in Brasov was amazing: Everything we ate was top notch, service was excellent and all so incredibly cheap. When I say cheap I mean cheap, about a quarter or less than the prices often seen in say, London. The food was definitely my prevailing memory of Brasov. It’s amazing how much happier you feel when leaving a place feeling like you’ve had good value for money! All and all Brasov was good. We met interesting people, saw awesome sights and ate amazing food. It’s one of the most enjoyable places I’ve visited so far. As I type this I’m sitting on another train to Bucharest: Romania’s capital city. Something tells me things aren’t going to be quite as utopian as what we’ve had so far. 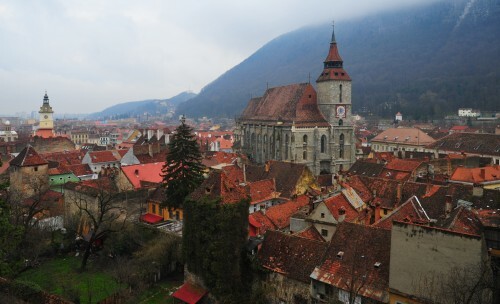 Filed under Brasov, Romania, Travel.